An Indian Air Force light combat aircraft Tejas taxies on the tarmac during the Aero India 2015 air show at Yelahanka air base in Bengaluru February 19, 2015. Make in India – for Indian Prime Minister Narendra Modi this has become a maxim of state policy. Ever since he graduated to the prime minister’s office in 2014, Modi’s message to the world has been unchanged: Come, Make in India. From day one the government’s articulated policy has been clear: The way forward involves increasing manufacturing growth and raising it to global competitiveness standards. Make in India would not only revitalize India’s ailing manufacturing sector, it would also gainfully employ millions of young Indians that enter the workforce each year. Underneath the hype and the glib marketing campaign, Make in India offers enormous potential for India’s stuttering defense industry. The policy takes its cue from the high levels of imports that currently make up India’s military arsenal. A quick study of the Make in India website reveals that more than 60 percent of India’s defense requirements are met through imports. The precincts of limited resources within which the armed forces budget must operate makes the logic of Make in India even more compelling. While Make in India may be the administration’s new poster child, defense indigenization is an old story. Achieving self-sufficiency in the defense sector has been an aspiration of the Indian defense establishment for many years. As early as 2004, the UPA Government set up the Kelkar Committee to recommend changes in acquisition procedures to enable greater participation of the private sector in defense production. The Kelkar Committee Report – “Towards Self-Reliance in Defence Preparedness” – was submitted in April 2005 and was the first to propose a direct offsets policy to bring technology and investments into the Indian defense sector. Although attempts to put in place structures and procedures for defense indigenization have been evident for well over a decade, the establishment’s long-cherished target of 70 percent self-reliance through in-house development has remained elusive. In the meanwhile, the downturn in foreign acquisitions and the absence of indigenous alternatives have affected armed forces preparedness. The administration’s decision to encourage domestic industry, in line with its Make in India policy, is a major fillip for the Light Combat Aircraft (LCA) program. Over the years, the Indian Airforce Force (IAF) has remained unconvinced about the LCA’s capabilities and has been reticent to guarantee orders for the Tejas fighter aircraft, as it is informally known. The renewed emphasis in the program has come by virtue of the new administration, which is unable to fiscally sanction large numbers of the Dassault Rafael aircraft and was thus forced to look into alternatives. Over the course of its development the LCA program has gone through many ups and downs, all well documented by the media. However, what has flown under the radar – and is now the remit of this article – has been the cost to human life by way of aircraft failures of other platforms that were pressed into service on account of delays to the LCA program. India’s failure to develop a substantive defense industrial base comes at a time when Soviet era machinery across all three services are lapsing into obsolescence. Not only has this created critical security gaps, it has also adversely impacted the safety record of the armed forces. Nowhere is this more apparent than in the aerospace sector. 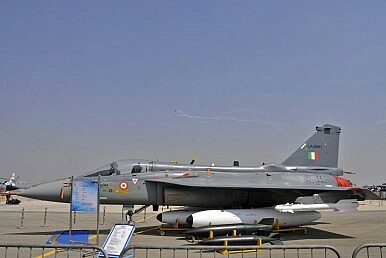 Consider the Indian government’s LCA program: The project was first conceived in 1969 in the wake of the Subramaniam Committee’s recommendation that Hindustan Aeronautics Limited (HAL) should design and develop an advanced technology fighter aircraft. The LCA program was approved in July 1983 after the completion of design studies and allocated an initial budget of $85 million. It was believed back then that the LCA program would achieve across-the-board advancement of the domestic aerospace industry and replace India’s aging fleet of Mig-21 fighters, which would be approaching the end of their life-cycle by the mid-1990s. Yet 32 years later, despite pouring $2.6 billion into the LCA vortex, the IAF still doesn’t have a fully functional fighter. Dubbed Tejas early on by the IAF, the LCA is still awaiting Final Operational Clearance (FOC), after which it can enter operational service. The LCA was awarded Initial Operational Clearance (IOC) in January 2011. However, given its performance issues and weapons limitations the IAF asked for an IOC-2, which was granted in December 2013. Despite strict instructions from the government, HAL was unable to meet the deadlines and ensure that FOC was achieved by December 2014. According to recent estimates, the re-revised deadline for achieving FOC is March 2016. In yet another setback for the Tejas LCA program, a Comptroller Auditor General (CAG) audit report identified 53 “significant shortfalls” that have reduced operational capabilities and survivability in the Mark-1 version of the fighter aircraft. The Mark-II version of the LCA – which is expected to correct these shortcomings – is still approximately five years away from series production. Upon completion of the Tejas Mark-II the LCA program would have been in development for more than 35 years! The CAG report further noted that due to the delay in the LCA program the IAF had to make temporary arrangements to upgrade its MiG fleet and revise its timeline for phasing out MiG-21 FL fighters. And it is the LCA program’s failure to address this issue that has brought the IAF to its knees. The Indian government first opted to purchase the Russian-made MiG-21s in 1961. Thereafter India introduced 872 MiG 21s into its air force, forming the backbone of its fleet. Having seen action in 1965, 1971 and 1999, many squadrons of this once venerable fighter have reached operational redundancy. However, the delay in the LCA program and possible vulnerabilities due to force accretion compelled the IAF to push back the phasing out of its MiG-21 fleet. The MiG-21s, which were upgraded to “Bison” standard in a last-ditch attempt to keep them in the air, are on “their last legs” warned Air Chief Arup Raha in 2014. By all accounts the MiG-21 models are difficult to maneuver, they land too fast, and the design of the window canopy means that the pilot cannot see the runway properly. These problems are exacerbated because the MiG-21 is not a forgiving aircraft; according to data from the Airworthiness Certification Brach of the Federal Aviation Agency of the U.S., the fatality rates for MiG-21s in the IAF is about 45-49 percent. Which means that a MiG-21 pilot essentially has a 50-50 chance of surviving an accident. In 2012, Indian Defence Minister, AK Antony, in a written reply to the Rajya Sabha confirmed that more than half of the 872 Mig-21s purchased by the IAF have been lost in accidents, costing the lives of 171 pilots, 39 civilians, and eight persons from other services. Furthermore, according to a 2002 Public Accounts Committee report between 1997 and 2000 – around the time the Tejas LCA was originally meant to be inducted – 21 pilots have been killed in 55 MiG-21 crashes. In light of these statistics, the MiG-21 platform has been dubbed the “Flying Coffin” and the “Widow Maker” by the public. The situation became so dire that in 2013 Sanjeet Singh Kaila, a serving officer in the Indian Air Force, filed a petition in court stating that flying a MiG-21 amounted to a “violation of his fundamental right to life, especially the right to work in a safe environment” under Article 21 of the Indian Constitution. With the LCA program entering a critical production phase soon, the IAF has announced an additional order of 100 modified Tejas fighter aircraft. The Tejas Mark-IA will be an upgraded version of the Mark-I but will fall short of the Mark-II version, which is still in the design phase. As the Tejas Light Combat Aircraft nears operational service it is important that India’s defense research establishment does not forget the costly lessons it learnt during the course of the LCA’s development program. Defense indigenization is a worthy ambition and one that India should pursue. However, the establishment’s inability to achieve it in a phased manner has cost scores of lives. Jayant Singh is a Researcher at the Institute of South Asian Studies, National University of Singapore. He can be contacted at [email protected] Opinions expressed in this paper, on the basis of research done by the author, do not necessarily reflect the views of ISAS.